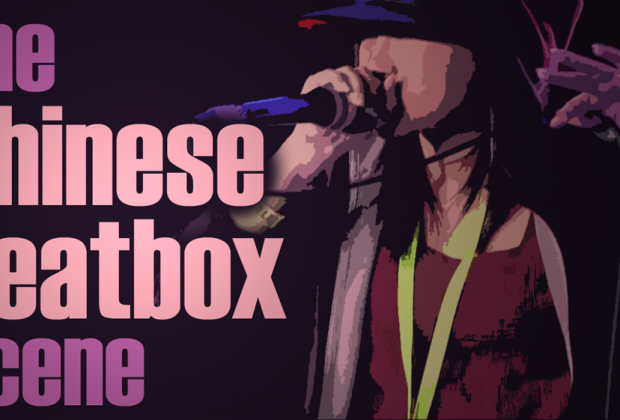 Originating from within hip-hop culture, beatboxing has outgrown its original concept and has changed and adapted to Chinese culture. 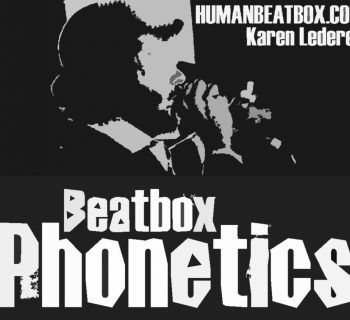 As a country with little cultural attachment to the African-American culture, beatboxing is interpreted and represented as more of an entertaining kind of art form rather than as a musical act. The fact that beatboxing is regarded as novelty value circus act, however, does help promote the art form in a wider sense. And to develop the culture, beatboxing needs to be, and is inevitably, commercialized as a commodity in battles, entertainment (shangyan), teaching and fashion. Battling, as a kind of competition, does help promote the scene; entertainment (shangyan) and teaching are two main ways for beatboxers to develop a personal career too. Both entertainment and teaching require the beatbpoxer to develop a higher level of technicality and musicality. And finally, fashion makes beatboxing become a way of life, and in a broader sense, it will become a lifestyle and go beyond its original-self. And to push the culture forward, I also strongly suggest that the Internet censorship in China be opened up for the freedom of knowledge for our own people. Chinese netizens have had to make the choice between downloading and uploading videos from YouTube, which is clearly an act of copyright infringement, or be isolated from the rest of the world. The writing of this series of articles (originally as a dissertation) has not been an easy process for me and I would like to express my sincere gratitude to my tutor He Jiangxiang for his patience, understanding and support. The dissertation was largely written based on my own observation and experience as a beatboxer since I started being involved in the scene in 2006. I was the first beatboxer in my city and one of the first beatboxers in China. However, with extremely limited amount of reference and material at hand, this dissertation could be done without the information provided and confirmed by Kui Jing, the Chinese beatbox ‘godfather’, and Taiko Hou the finest beatboxer from Macau. 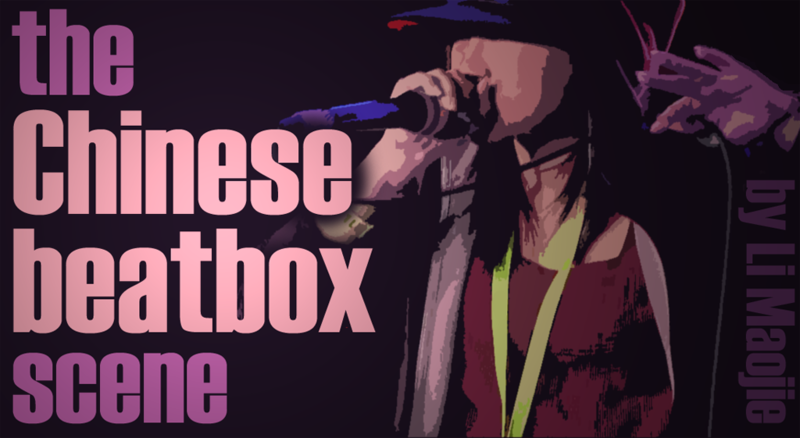 I would also like to give a shout-out to the Guangzhou beatbox community for their verbal support, Tanfan Make for his linguistics aid and Gong Zibin for his law tips. And apologies to those who were possibly affected by my absence in various kinds of events and meetings for I was, sometimes I was not, making my efforts writing this work. It has been a meaningful and painstaking process, and I hope this dissertation will not be the end of the Chinese beatbox scene study but only the very beginning.